PITTSBURGH & CHICAGO--(BUSINESS WIRE)--The Kraft Heinz Company (NASDAQ: KHC) (“Kraft Heinz”) announced today that it has entered into a definitive agreement to acquire Primal Nutrition, LLC, makers of Primal Kitchen branded products for approximately $200 million. 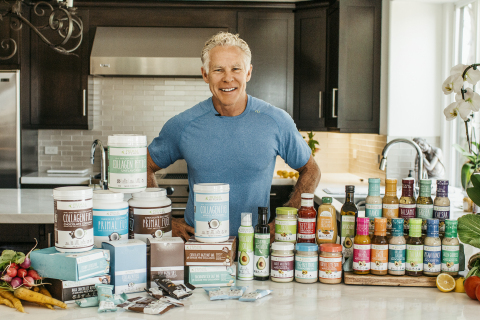 Mark Sisson, New York Times bestselling author, media personality, ex-endurance athlete (5th place USA Marathon Championship, 4th place Hawaii Ironman finish) founded Primal Kitchen in 2015. He has been educating the world on nutrition and the benefits of high-quality fats and protein for the last decade via his blog, MarksDailyApple.com. Mark set out to create the world’s best-tasting, real-food pantry staples. Primal Kitchen delivers on its promise to create uncompromisingly delicious products that are free of dairy, gluten, grains, and soy, and emphasize beneficial fats and high-quality proteins. Primal Kitchen is the maker of the number one selling Condiment, Mayo made with Avocado Oil, and number one selling Salad Dressing, Ranch Dressing, in natural grocery. As Mark would say, Eat Like Your Life Depends on It, because it does. Learn more at primalkitchen.com.